On the current project I am working on for a major bank, the bank requested a list of all the firewalls ports required between all of the vRealize Automation components even if the components are part of the same VLAN and did not require any firewall rules. I looked through the vRealize Automation Reference Architecture document but this had far less than what I had hoped for but was certainly a good starting point. I spoke to a few fellow VMware PSO and systems engineering people I know (current project I working on is as VMware PSO) and it seems there was a clear definitive list of these readily available. 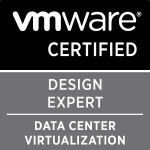 So I created one with the help of the consulting architect on my project Arnim van Lieshout, fellow VMware PSO consultants Greg Davis and Phil Monk and vRealize guru Grant Orchard. The solution has additional components such as IPAM,Puppet,SCOM and SCCM which I left the entries in for but are obviously not applicable to every environment. I hope these help people looking to implement these solutions and if you need any professional services help then please don’t hesitate to get in contact. Categories: Automation, Virtualisation, VMware | Tags: Firewall, Puppet, vRealize, vRealize Automation | Permalink.